It’s a shame this was the final season of Person of Interest because it becomes more intriguing to me with every passing year. 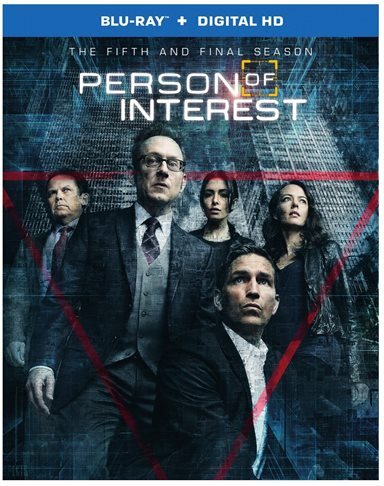 Person of Interest, which aired the finale of its fifth and final season on June 21, has hit the shelves and is now available on Blu-ray and Digital HD. The show followed the story of a software genius named Harold Finch (Michael Emerson; Lost), who designed a machine able to detect acts of terror before they are committed. Once the system is in place, he sees that not only are potential terror attacks discovered, but everyday violent crimes as well. After the government decides they have no use for any data involving the everyday violent crimes, Finch takes matters into his own hands, creating a back door to the system so he can intervene on the crimes the government turns a blind eye to. With the help of John Reese (Jim Caviezel; The Passion of the Christ), an ex-CIA agent, the two work together on a clandestine mission to prevent violent crimes before they can happen. The fifth season finds Reese and Finch, along with Detective Lionel Fusco (Kevin Chapman; Brotherhood), ex-operative Sam Shaw (Sarah Shahi; Old School) and cyber-hacker Root (Amy Acker; Angel), the Machine being nearly destroyed and now they are on the run, having nothing but their source code. They suddenly find themselves in constant danger of Samaritan, who is backed by the U.S. government, while everyday citizens are being targeted and assassinated. Meanwhile the big question is, can Finch rebuild the Machine and make it into what it once was? It's a shame this was the final season of the show because it becomes more intriguing to me with every passing year. However, if they had to end it, they certainly did a terrific job to make sure the fans were satisfied, yet left somewhat surprised. Hopefully it also makes people think about the world in which we currently live. Part of what makes the show so terrific is the cast. They have a chemistry that works and characters that, while the audience may not necessarily always like them, are somehow sort of familiar. Add to that the fast pace of each episode, and you end up with a sort of ADHD creation that you can't help but love being along for the ride. One of the nice things about the Blu-ray is the 1080p High Definition video. The picture quality is so strong that even the little details are apparent and the colors have so much depth that event the black hues show variations. The DTS-HD Mater 5.1 audio compliments the video with gunfire popping in your ear at every turn and the explosions rock you with a deep bass. The dialog is also clear and doesn't get lost among all the other noises. Extra features on the Blu-ray include the 2015 San Diego Comic-Con Panel, a "Finale for the Fans" featurette, and a Revelations of Person of Interest featurette. The Comic Con stuff is always fun because we get to see how the cast interacts with the fans, which usually produces some humorous moments. The other featurettes are worth watching as well making this product worthwhile. Overall it saddens me to see such a quality show off the air, but at least it went out on top. If you are a fan of the series, I suggest investing in all five seasons not just this one. Download The Complete Fifth Season from the iTunes Store in Digial HD. For more information about Person of Interest visit the FlickDirect Movie Database.